A South Sudanese veteran journalist, Alfred Taban, has declined President Salva Kiir’s appointment to the National Dialogue Committee amid media crackdown. Mr. Taban, who is the Editor-In-Chief of the Juba Monitor, a daily newspaper, said he wanted no part in the steering team, unless the president sets free journalists in prison and stops aggression against Press freedom. “Yes, he (Kiir) appointed me to be a member of the Dialogue Committee but I told him to release journalist George Olivio, then I will accept the appointment,” Mr Taban told reporters when asked about the posting. Mr. Olivio, who worked for UN-run Radio Miraya, was arrested by South Sudan’s intelligence unit in 2014 but the government is yet to give reasons for his capture. President Kiir last week announced he would release all political prisoners when he formally launched the National Dialogue. However, observers have expressed some scepticism. Mr. Taban said he would be delighted if President Kiir put his word into action. The South Sudanese government has been put on the spot over increased executions of journalists since the start of the war in 2013. About a dozen journalists have died in the line of duty since the country seceded from Sudan in 2011. Many others have been forced into exile for critical reporting. South Sudan is ranked among the most deadly countries to practice journalism by the Committee to Protect Journalists (CPJ). KAMPALA. The hearing of a case in which Uganda Parliamentary Press Association (UPPA) petitioned court challenging a move by the House to block reporters without degrees from covering parliamentary proceedings with effect from May 2016, was yesterday adjourned to October 20. This after the trial judge Patricia Basaza received a letter from the Office of the clerk to the Parliament notifying court about the absence of the lawyers in personal conduct of the case. “We respondents in the above matter and were required to appear in court for hearing of matter, however counsel in personal conduct of the matter are away on official duty in Arusha- Tanzania and Mogadishu-Somalia respectively and are scheduled to return on May 20. This is to request you to adjourn the matter for a week where in the counsel shall be in position to proceed with the hearing,” read part of the letter that was presented by Mr James Angura the senior legal officer at Parliamentary Commission. Uganda Parliamentary Press Association (UPPA) petitioned to court challenging a move by parliament that was restricting reporters without degrees from covering proceedings of the House and its committees with effect from May this year. In a loose minute of January 18, 2016, to Parliament’s Sergeant-at -Arms, the director of communications and public affairs, Chris Obore directed that the journalists’ office be closed until a good working relationship between the two warring parties is restored. The journalists are demanding for an apology and clearance in writing from parliament and all its officials that they will not repeat the violation of their right. They also argue that since parliament is not their employer, then it has no powers to direct media houses on the reporters’ specifications to cover its proceedings. In the same court, Justice Yasin Nyanzi dismissed a preliminary objection by the Parliamentary Commission that sought to throw out the case filed against it by Parliamentary Journalists, challenging their accreditation to start covering the house as degree holders. Court ruled that the journalists had a case against the Parliamentary Commission that needs to be heard on merit. Veteran US journalist Kenneth Cooper has tipped journalists and newspapers on how to remain relevant amid changing consumer preferences dictated by digital age. Mr Cooper, while speaking to staffers of Daily Monitor, a subsidiary of the Nation Media Group, said social media has undercut newspaper copy sales and many consumers are accessing online news free of charge. In the end, he said, newspapers are struggling to recoup production costs and media workers are paying the ultimate price by losing their jobs. “The way out could be creating original content for the web and newspapers. That creates value,” Mr Cooper said at Monitor Publications Limited offices in Kampala yesterday. He added that newspapers should now focus on explanatory, in-depth and analytical journalism. He advised journalists to multi-task since the age of specialisation either as a photographer or only writer has ended. “You equip yourself with skills [learn] how to use a digital camera, recorder , InDesign and lay pages… those are the skills,” he advised the editors and reporters. His advise comes days after the management of MPL rolled out a new organisational structure in order to improve its revenues. MPL managing director Tony Glencross last week said this was being done to meet the customers’ needs and grow circulation. “In view of the rapidly changing consumer needs, we have embarked on a journey to drive the digital/mobile first and business convergence strategies that will allow us grow new revenue streams while securing our current print and broadcasting businesses,” Mr Glencross said. In the new organisational structure, some staffers lost their jobs. Mr Charles Odoobo Bichachi, the MPL executive editor, said newspapers have been the first medium to suffer whenever new technologies are invented. He, however, said newspapers are resilient and social media, just like television and radio inventions, will not kill them. World Freedom Press Day is celebrated every May 3rd. Today we talk to journalists, and friends of journalists about their experiences in the field and how far they feel Uganda has come as far as press freedom is concerned. Sheila Nduhukire, an anchor and journalist with NTV Uganda talks about her experience on what it means to be a female journalist and being gagged by the powers that be. Her colleague, Agnes Nandutu, shares her experience on being targeted for her critical reporting as a senior reporter at Parliament. Bernard Tabaire, a co-founder and director of programmes at African Centre for Media Excellence in Kampala, talks about the state of press freedom in Uganda, and is emphatic on the fact that any country’s development and ultimately freedom, is partly reflected through the level of press freedom. Others like Giles Muhame of Chimp Reports, Robert Ssempala of Human Rights Network for Journalists and Judith Atim of 933 KFM also give their take. Three journalists were arrested as police blocked a planned revival meeting by the opposition Democratic Party in Masaka today. The journalists were arrested as they covered running battles between police and the DP members who had intended to hold a revival meeting in the area. But police said the meeting was unlawful. 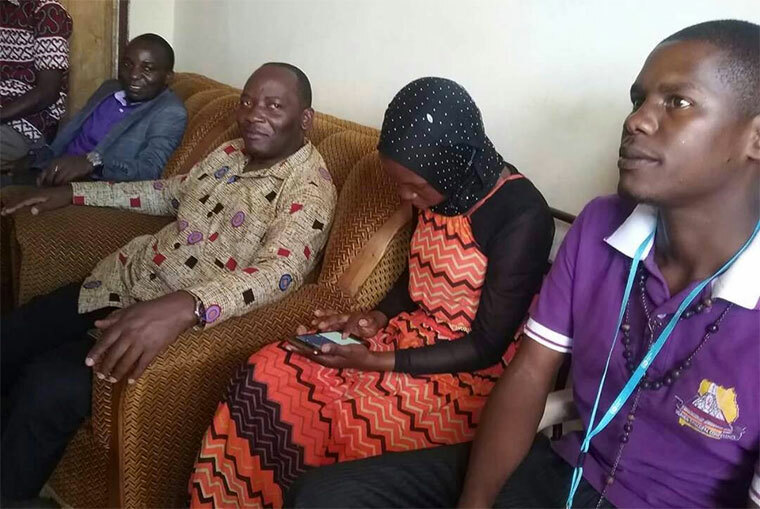 The journalists, who were arrested alongside Masaka municipality MP Mathias Mpuuga, were accused of interfering with police operations against a group of DP supporters led by Mukono municipality MP Betty Nambooze. They were later released without charge. Greater Masaka regional Police commander Latiff Zzaake says they received orders from police headquarters in Kampala to block the planned meeting over non compliance with the law. Meanwhile during the scuffles, Nambooze assaulted NTV's Masaka correspondent, Issa Aliga. She also grabbed a camera belonging to Daily Monitor's Martins Ssekweyama. Nambooze reportedly accused the journalists of covering her arrest. The situation remains tense in Masaka municipality as police continues to battle angry DP supporters who are protesting the arrest of some of their members. Many shops have closed as police fire bullets and tire gas canisters to disperse angry DP supporters who has attempted to storm Masaka Central Police Station. 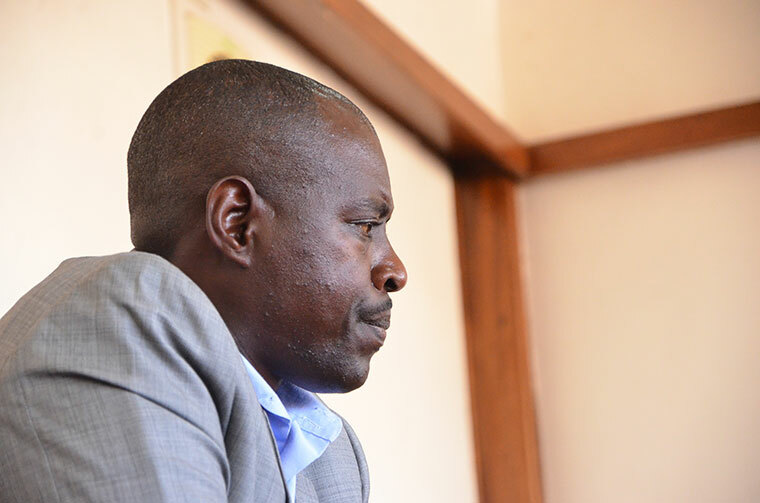 Former Old Kampala district police commander (DPC) Joram Mwesigye has been convicted for a 2015 incident in which he was found guilty of assaulting former WBS TV journalist Andrew Lwanga. For causing bodily harm, Buganda Road Grade One Magistrate Kamasanyu Gladys has fined Mwesigye Shs 1 million and ordered to pay Shs 5 million in compensation to Lwanga who now moves with a damaged spine and with the aid of crutches. Kamasanyu said Mwesigye must pay the money within 30 days from the date of judgement or be jailed for a period of one year. 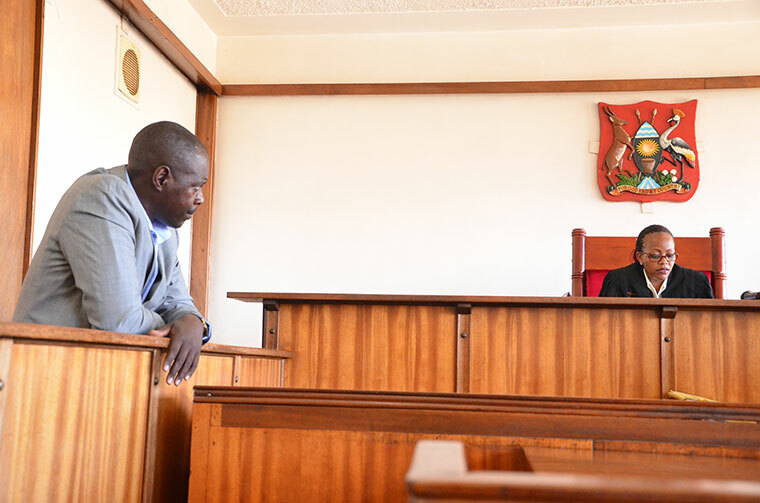 On the second account, the magistrate acquitted Mwesigye, arguing that the evidence submitted did not show or prove that it was Mwesigye who damaged the journalist’s camera. She also argued that the camera belonged to the TV station and not the journalist and as such can’t be compensated for the damage caused. Mwesigye was charged with three counts including assault, occasioning bodily harm and malicious damage of property. Court heard that on January 12, 2015 at Florida Bar and Guest House along Namirembe road in Kampala, Mwesigye brutally assaulted Lwanga and one Joseph Ssetimba, then working for Bukedde Television. Lwanga was covering a protest march against unemployment in Kampala by the Unemployed Youths of Uganda (UYU) when the police officer repeatedly hit him with a baton on his shoulders and head until he fell down. The officer kicked him on his back, damaging his spine. Lwanga has since undergone surgery in South Africa to try to repair his spinal cord, and is awaiting a second operation. As the youths attempted to march from JEEMA headquarters in Mengo towards Naguru to petition the Inspector General of Police Kale Kayihura, Mwesigye and four other policemen blocked them at Bakuli road junction around clobbering several of them. In the process, Mwesigye dramatically fell on his belly -with Lwanga filming the incident. This seems to have annoyed the DPC as he turned on the journalist clobbering him with a long electric cable. The UYU youths attempted to gather again and tried to address the journalists again. All this while Lwanga and other journalists were covering the unfolding event. Mwesigye and his team again pounced - this time hitting Lwanga with a baton until he fell down, unconscious. Mwesigye and his colleagues drove him first to Old Kampala Police Station and then later to Nsambya hospital. In response to today's court ruling Abdullahi Halakhe, Amnesty International's East Africa Researcher, says the ruling is a rare victory for freedom of the press in Uganda. Halakhe notes that it sends "a clear message that attacks on journalists must never be accepted or tolerated under any circumstances." He says the ruling is an assurance to people working in the media that "the courts are watching; willing and ready to uphold their rights." Jinja- Uganda Media Council will do anything within its powers to get rid of unqualified and unprofessional practitioners, the local media industry regulator, has said. According to the chairperson of Uganda Media Council, Mr Paulo Ekochu, a move to have the industry practitioners registered is underway. This, he said will distinguish the quacks from the genuine journalists. He was speaking at the end of a three-day workshop for media practitioners in eastern Uganda last week. “The first step will be to register all journalists in Uganda and then we shall have a ground to kick out those who are unqualified from the industry,” he said. According to Mr Ekochu, the Media Council’s role is to promote responsible journalism and it is for that reason that they will do all they can to fight irresponsible journalism in the country. “Many journalists are acting irresponsibly by writing stories, which create conflicts in the society. Why should a media house publish a story saying a certain tribe here commits more crimes than other,” he wondered. Mr Ekochu, however, refuted allegations that registering and licensing Media Houses is one of the forms of gagging the media, saying journalists have their rights and freedom, which he said must be exercised responsibly without breaching other rights. However, while in an engagement with journalists in Jinja recently, the national coordinator, Human Rights Network for Journalists Uganda, Mr Robert Ssempala, said media industry practitioners should reject any move to have them licensed before being accepted to practice journalism. The council, he said is a creation of the Press and Journalists Act 2005, which is a bad law and currently being challenged in court by Human Rights Network for Journalists-Uganda, East Africa Media Institute and the Centre for Public Interest Litigation. Renowed Cameroonian journalist and chief executive officer of African Media Initiative, Eric Chinje, has faulted Ugandan journalists for failing to ask relevant questions so as to set the agenda. 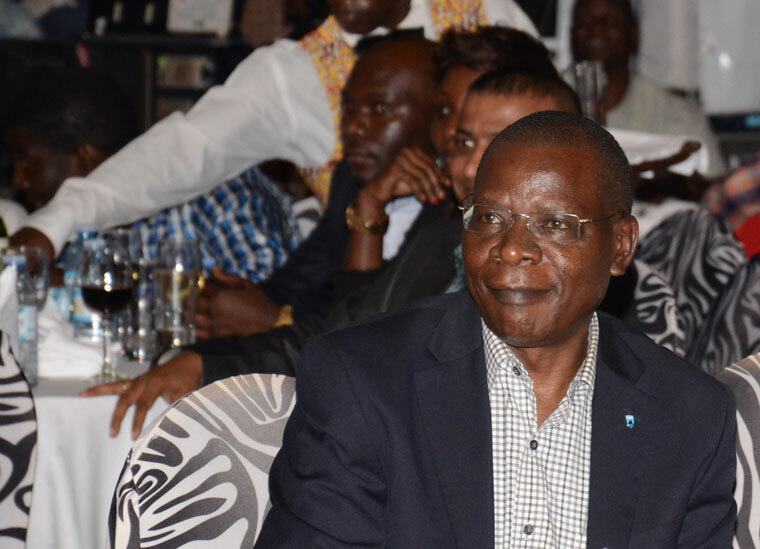 Chinje was speaking on Wednesday during the Annual media and politics lecture organised by the African Centre for Media Excellence (ACME) at Golf Course Hotel in Kampala. He noted that he has been dismayed by the poor quality of questions journalists in Uganda have asked politicians, business persons, government officials and donors. Chinje stated that whereas journalists are supposed to set the agenda and be the transformation of their nations and the entire continent, this has not been realised due to shallow research. He added that by asking the wrong question and twisting information, journalists have made authorities give lousy answers and in some cases undermined the media. Chinje said that while supervising projects like Bujagali dam construction during his tenure as World Bank spokesperson for Africa, he was surprised at the level of unpreparedness of Ugandan journalists. He said this lack of research and analysis on the part of journalists in Uganda applies also to other journalists in Africa. “Every time you went out to either announce a loan for a development project…like when I would come here, I came here many times with a delegation from the [World] Bank that was trying to figure out what in the world is happening to Bujagali. For those missions, we would come to Kampala or to different parts of Uganda and at the end of each mission we would organise a press conference. And I almost never heard a journalist ask the right questions. You cannot imagine how frustrating that is for some one who is supposed to promote communications for development. And this happens not only in Kampala [but other parts of Africa].” Chinje said. He said the level of debate by some journalists and government officials in Uganda is wanting with journalists getting political and emotional without facts. He called for journalists to dig deeper and understand the purpose of the media, challenging them to move away from making money and to instead help make the country better through informed reporting. On brown envelopes, a term used to refer to facilitation given to journalists by sources, Chinje stated that there is pride in not taking whatever form of facilitation is given to journalists. He says taking brown envelopes will always make a journalist lose respect. He however implores news organisations not to exploit workers financially. “There are journalists who work and earn their strides and there those who want to earn their strides by not working. It is as simple as that. Any journalist who does not put time to get more information [more] than the public has no business [in] giving the public information. We’ve got to work, we have to research. There is single no well-respected journalist who has not done their homework. This thing is not about going on radio and talking and getting access to a publishing paper and just writing. No. It’s about bringing out facts that help people”, Chinje said. Chinje says that with western influence and agenda, if journalists do not get to do their role, Africans will never realise what they want. He says Africa's continental agenda will only rise from the national development strategy which needs to be communicated with media. He says Uganda has done little to promote agriculture which is one of the major ways it can become self-sufficient. Dr Monica Chibita, who heads the journalism department at Uganda Christian University, noted that there are many instances when journalists don't have all the right questions and end up getting shallow information. She said that the culture of depth has died following shot-cuts in the education system. She said although some institutions are not giving journalists practical experience, the poor performance is largely blamed on individuals' failure to do research. On facilitation, Chibita noted that journalists should maintain integrity no matter what. “It is a little bit of a sweeping statement to say nobody ever asks the right questions. There are many not asking the right questions, I wouldn’t say everybody is asking the wrong questions but there are many instances where we do not ask all the right questions and you see we only get answers to questions that you get. So, if we get shallow information, it is because we have looked for shallow information or it is because we have not looked for deep information. Now, you can blame that on the training institutions at university level but I think you can take it further to where we actually come from to these institutions because I think the culture of depth has died. The culture of shortcuts has taken over”, she said. Vision Group chief executive officer, Robert Kabushega, who was the moderator of the lecture said journalists in Uganda lack curiosity, describing it as a dangerous thing. He said some journalists are merely satisfied with reading a single newspaper of their choice and are hesitant to learn from reading other local and international media. Kabushenga implored journalists to read beyond their articles if they are to make a difference. This was the third annual lecture organised by ACME under the theme "Media and Politics in Africa". The main purpose of the lecture series is to explore the relationship between media and politics amidst changing technological, demographic, and political circumstances on the continent. Chinje's lecture focused on the role of the media in development and its ability to effectively moderate social conversations. Former Kigulu North MP Edward Kafufu Baliddawa has been sued for copyright infringement by two Ugandan journalists. In their suit filed on January 24 in the Commercial court, Simon Musasizi and Edward Echwalu claim that Baliddawa didn’t write the book, The Best of Busoga, as he claims, but only provided logistical support. 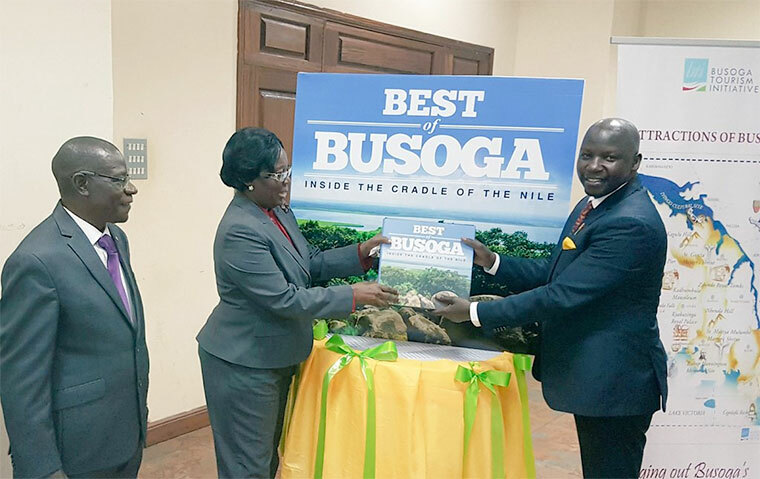 On December 7, 2016, Speaker of Parliament Rebecca Kadaga launched the book, which promotes Busoga’s historical tradition, its challenges and untapped tourism sector. In the suit, Musasizi says he is the author and copyright owner of the original book titled, Best of Busoga. He said Echwalu, a photographer, contributed the photographs in the book. According to the suit, sometime in 2012,during the premier Busoga Tourism Expo attended by several journalists, Musasizi noted a lack of information on several potential tourism sites in the region. Subsequently, according to the suit, in early 2013, Musasizi came up with the idea of writing a travel book on Busoga and he contacted Moses Agaba, the proprietor of Fathil International Projects Ltd (FIPRO), with a proposal for the latter to publish the book. “A memorandum of Understanding was executed between the first plaintiff’s [Musasizi] company, Munk Communications Ltd, and FIPRO in which it was agreed that FIPRO would look for advertisers to take up space in the book while the first plaintiff would carry out research, writing and compilation of the book,” the suit reads. He further says that Agaba urged him to obtain a cover letter from Speaker of Parliament Kadaga since she is the patron of Busoga Tourism Initiative(BTI). Then, Musasizi says, he shared the idea with Baliddawa, chairperson of BTI, who is the second defendant in this suit. Baliddawa reportedly welcomed the idea. “The first plaintiff [Musasizi] worked around the clock conducting strenuous research, collecting data, verifying the information obtained, and writing the content to ensure that the entire book was ready by the end of 2013 while the second plaintiff captured photographs,” the plaint reads. The journalists say that Baliddawa and BTI’s only contribution to the text and content of the book was limited to sourcing for old pictures of Busoga, paying the graphic designer and sourcing for funding for printing and publishing the book. “The first plaintiff solely compiled and authored the text of the book while matching the right pictures supplied by the second plaintiff [Echwalu] and old pictures of Busoga obtained by the first defendant,” the suit states. “Unfortunately, FIPRO experienced economic hardships and as such it was unable to conclude with the book as earlier on agreed. Both the first plaintiff [Musasizi] and the first defendant [Baliddawa] agreed to look for another source of financing for the printing and publication of the book,” reads the suit. But the journalists say they were dismayed to learn through an article in Daily Monitor dated December 5, 2016, referring to Baliddawa as the author of the book titled “Best of Busoga”, and that the book had already been published. “On perusing the contents of the book, the plaintiffs were shocked to learn that the first defendant [Baliddawa] had unilaterally changed parts of the book and assumed authorship of the book in total disregard of the work, effort, creativity and originality of the plaintiffs [Musasizi and Echwalu] while referring to the first plaintiff [Musasizi] as a researcher,” the suit says. The book, according to the journalists, is currently being sold commercially on stalls, supermarkets, bookshops and other outlets, and also being personally hawked by Baliddawa at a quoted price of Shs 100, 000. Interviewed for a response on Thursday, Baliddawa said Musasizi was his “employee” who he paid to do research he used to write the book. “When you’re a driver, it doesn’t mean that you own the car,” Baliddawa said. “I gave Musasizi money to do the research and he used that money to employ other people to do the photography. So, I insist that I wrote that book. Let the courts decide,” Baliddawa said. The journalists want Baliddawa to not only pay general damages, and exemplary damages for infringement, but to also account or surrender all monies earned by him as a result of the said infringement.